For 2017, the Volkswagen Tiguan replaces the former R-Line and SE trims with Wolfsburg and Sport trims, while the base S trim now features VW's Composition Media infotainment system. 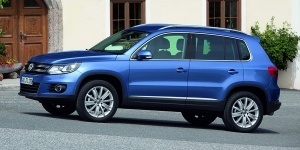 Find the used Volkswagen Tiguan of your choice from a dealer in your area. Search our used car listings now.